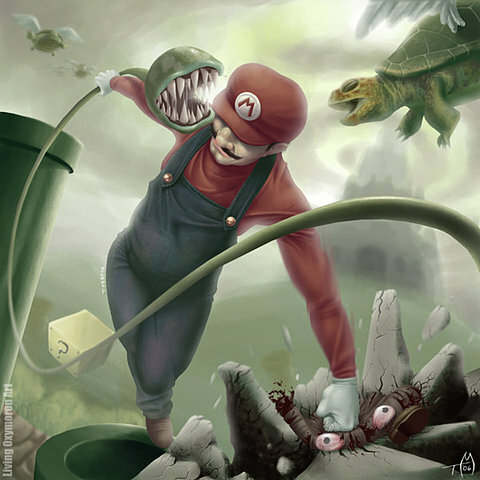 How cool would it be to play a dark Mario brothers game. With Nintendo being so family oriented, I doubt we will ever see something like that happen. So, with this picture, we can imagine. Via Small News.